LONDON: 14 SEPTEMBER 2016 - The directors of ECR Minerals plc (the “Board”) announce the issue of 2,415,537,133 new ordinary shares in the Company of 0.001 pence (“Ordinary Shares”) to settle the following liabilities of the Company. 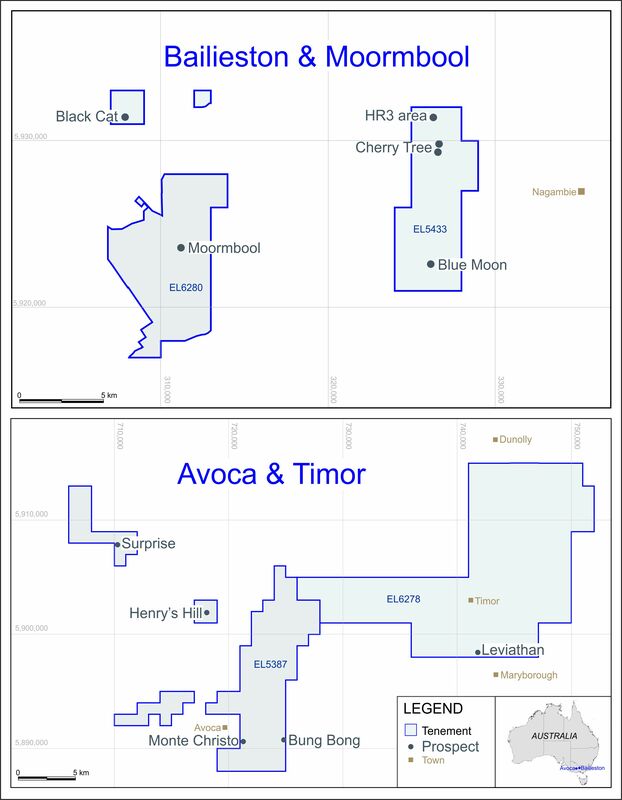 a) 414,538,378 Ordinary Shares at a price of 0.0069375 pence per share to satisfy the second tranche of Consideration Shares (as that term is defined in the Company’s announcement dated 3 March 2016), pursuant to the acquisition by the Company’s subsidiary Mercator Gold Australia Pty Ltd of 100% ownership of the Avoca and Bailieston gold projects in Victoria, Australia. b) 110,185,512 Ordinary Shares at a price of 0.00635 pence per share in settlement of unpaid salary and consulting fees due to a former employee and certain former consultants. c) 316,010,093 Ordinary Shares at a price of 0.00635 pence per share in settlement of US$26,663 of fees due to Cosme Maria Beccar Varela, who provides legal and administrative services in relation to the Company’s activities in Argentina. These fees are for services provided in 2014, 2015 and 2016.
d) 1,574,803,150 Ordinary Shares at a price of 0.00635 pence per share in settlement of £100,000 in unpaid salary due to Stephen Clayson, a former director and the former CEO of the Company. This amount is legally due to Mr Clayson, and arises from unpaid salary accrued during 2014 and 2015. The amount was included in the Company’s 2015 audited financial statements and has been reported to HMRC. Items c) and d) constitute related party transactions under the AIM Rules for Companies, by virtue of Stephen Clayson having been a director of ECR within the preceding twelve months, and by virtue of Cosme Maria Beccar Varela being a director of Ochre Mining SA, a subsidiary of ECR. The current directors of ECR consider, having consulted with Cairn Financial Advisers LLP, the Company’s nominated adviser, that the terms of these related party transactions are fair and reasonable insofar as ECR shareholders are concerned. Settlement of the items above will substantially reduce ECR’s outstanding liabilities, and settlement of these items in Ordinary Shares rather than cash enables the Company to preserve working capital for other purposes. Pursuant to this announcement, application has been made for a total of 2,415,537,133 Ordinary Shares (“New Ordinary Shares”) to be admitted to trading on AIM (“Admission”), which is expected to occur on or around 20 September 2016. Following Admission of the New Ordinary Shares and the Subscription Shares (as such term is defined in the Company’s announcement of 6 September 2016), ECR’s issued ordinary share capital will comprise 25,845,287,953 Ordinary Shares. This number represents the total voting rights in the Company and following Admission may be used by shareholders as the denominator for the calculation by which they can determine if they are required to notify their interest in, or a change to their interest in, the Company under the Financial Conduct Authority’s Disclosure and Transparency Rules. The new Ordinary Shares will rank pari passu in all respects with the Ordinary Shares of the Company currently traded on AIM. Following Admission, and the admission to trading on AIM of the Subscription Shares referred to in the Company’s announcement dated 6 September 2016, Stephen Clayson will be beneficially interested in 1,642,426,928 Ordinary Shares, equating to approximately 6.35% of the Company’s issued Ordinary Share capital.